Parts of Flatbush, Prospect-Lefferts Gardens and Crown Heights will be known as "Little Caribbean" after a designation ceremony this week. The neighborhood has been home to Caribbean immigrants for dozens of countries for years. FLATBUSH — Welcome to the Little Caribbean. Though Flatbush has been a hub for Caribbean people, food and culture for years, the area will be officially dubbed the “Little Caribbean” of New York City this week. A large area of southern Crown Heights, Prospect-Lefferts Gardens and Flatbush will be included in the designation, to be announced Thursday by Borough President Eric Adams, New York’s tourism group NYC & Company, several local merchant associations and caribBEING, a Flatbush arts and culture group that spearheaded the effort. CaribBEING founder Shelley Worrell, who was born in Flatbush and is now a resident of the area, said she’s been working on the designation for about two years. She sees it as a way to help existing Caribbean businesses as a new wave of shops and restaurants move into the neighborhood and to make it easier for those interested in Caribbean culture to visit. 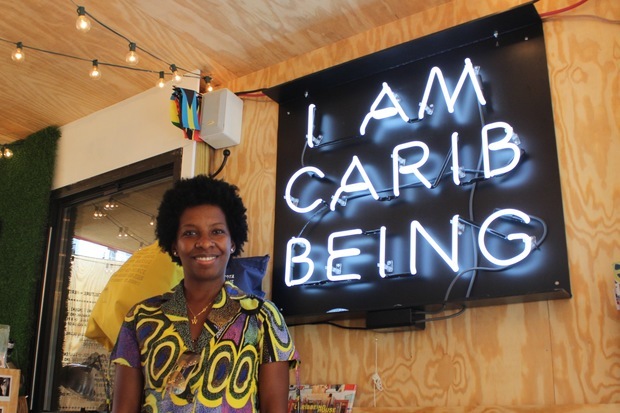 The founder of the Caribbean cultural group Caribbeing Shelley Worrell pictured in the "Caribbeing House," a mini-museum and event space built in a shipping container at the Flatbush Caton Market on Caton Avenue in Flatbush. “A lot of other immigrant groups [have them]. There’s a Little Pakistan, a Little Odessa. There are a couple of Chinatowns, a couple of Little Italys. So we needed to have one neighborhood,” she told DNAinfo New York. The boundaries of the designation are Empire Boulevard to the north and “The Junction” a.k.a. the crossing of Flatbush and Nostrand avenues, to the south, with a focus on the commercial corridors of Flatbush, Church and Nostrand avenues. Visitors will see the change through new signs and flags in the area, Worrell said, with the possibility of two Little Caribbean archways going up, as well. Soon, she hopes to create Caribbean-themed displays on the LinkNYC Wi-Fi kiosks in the neighborhood (caribBEING partnered with the city during Caribbean Heritage Month to display New Yorkers of Caribbean heritage on the Wi-Fi ports) and hold walking tours and food crawls. “There is a huge interest in Caribbean food and culture even outside of the neighborhood,” she said. “Whether you’re a New Yorker, or even a visitor, people want different offerings in New York City. A lot of people travel to the Caribbean or they just want to explore new neighborhoods." 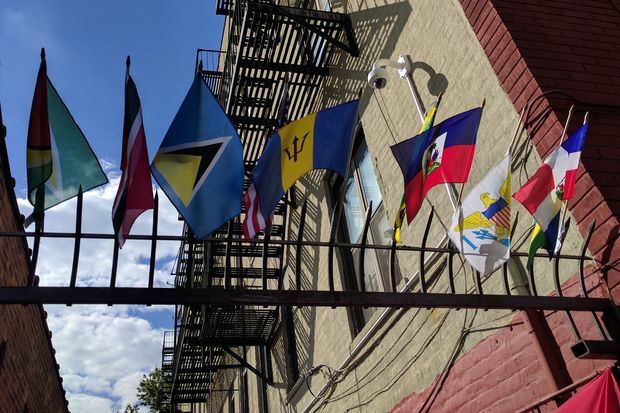 The kickoff for Little Caribbean will take place on Thursday with the Flatbush-Nostrand BID at corner of Glenwood Road and Nostrand Avenue in Flatbush. For more information, visit the neighborhood’s website at littlecaribbean.nyc or follow on Instagram at @littlecaribbeanNYC.